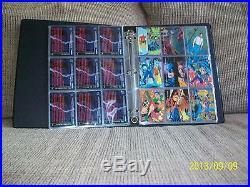 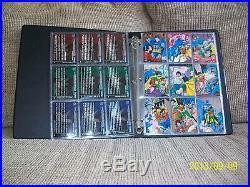 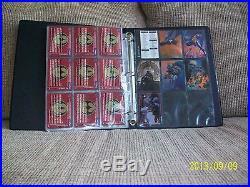 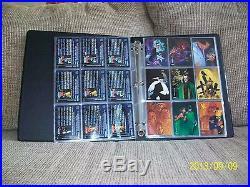 Batman Saga of the Dark Knight complete set in binder. 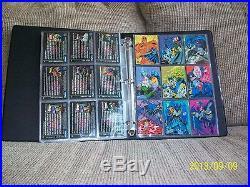 Binder and all cards are Mint. 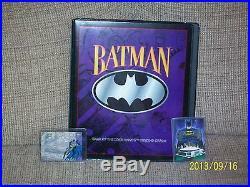 Includes base set of 100 cards, "Portraits of the Batman, " B1 - B5, factory sealed Sky Disk SD1, and factory sealed Hologram CD #1711 of 10,000. 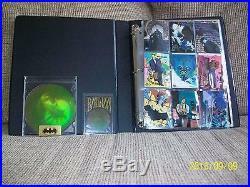 Also includes mint promo card for Batman the Animated Series trading cards Series Two, as well as Mint Batman Camden Yards limited edition, one of 50,000 in protective plastic sleeve, and Mint Batman Georgia Dome limited edition #1237 of 50,000 in protective plastic sleeve. 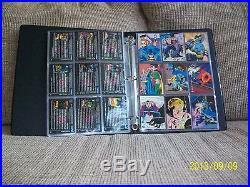 The item "Batman Saga of the Dark Knight complete trading card set in binder" is in sale since Thursday, April 30, 2015. 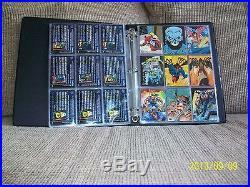 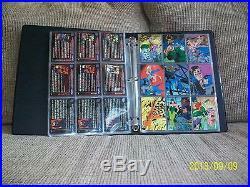 This item is in the category "Collectibles\Non-Sport Trading Cards\Batman Trading Cards\Trading Card Singles". 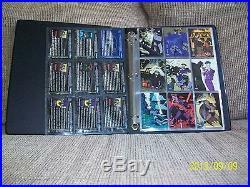 The seller is "jmshaver92155" and is located in Normal, Illinois. 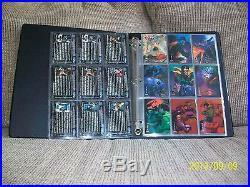 This item can be shipped to United States, Canada, United Kingdom, Denmark, Romania, Slovakia, Bulgaria, Czech republic, Finland, Hungary, Latvia, Lithuania, Malta, Estonia, Australia, Greece, Portugal, Cyprus, Slovenia, Japan, China, Sweden, South Korea, Indonesia, Taiwan, South africa, Thailand, Belgium, France, Hong Kong, Ireland, Netherlands, Poland, Spain, Italy, Germany, Austria, Russian federation, Israel, Mexico, New Zealand, Philippines, Singapore, Switzerland, Norway, Saudi arabia, United arab emirates, Qatar, Kuwait, Bahrain, Croatia, Malaysia, Brazil, Chile, Colombia, Costa rica, Panama, Trinidad and tobago, Guatemala, Honduras, Jamaica, Dominican republic, El salvador.